Alas, the original building was destroyed by fire in 1871 – the first had, in fact, been home to Lafayette prior to his departure for America. 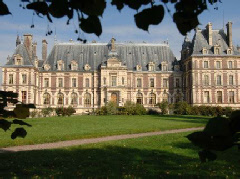 That said, Chateau de Villersexel remains an attractive property, beautifully rebuilt in Louis XIII style. Indeed, it is said that Gustave Eiffel and Charles Garnier were the architects of the new chateau. But even the present day house has welcomed some notable historic figures: Charles de Gaulle and Winston Churchill are both former guests. The hotel features an outdoor swimming pool (for summer), and just five guest rooms. Both Besancon and the border with Switzerland are within easy reach for those travelling by car.